I don’t have a story for this one because I never cooked turnip greens before. It just happened to be one of those days when I buy something out of impulse.. like a bundle of turnip greens from the local Asian store because who knows when you’re gonna them. I was impressed really, I will buy turnip green again for sure. 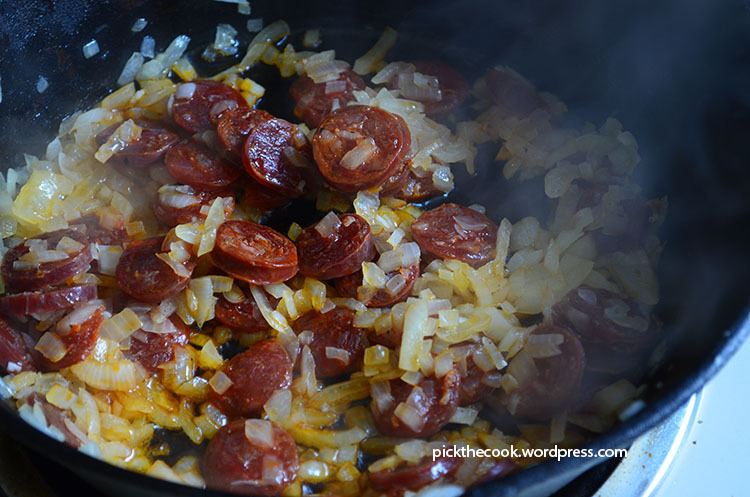 Sauté the onion in the olive oil until golden and then add the chorizo and cook for 2-3 minutes on medium heat. 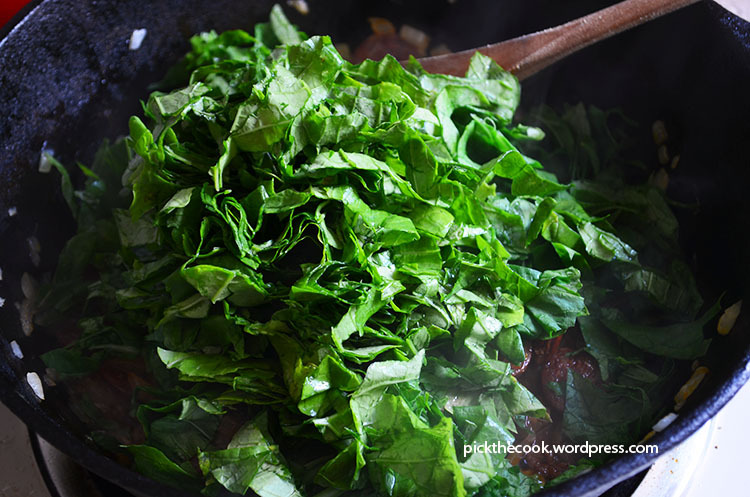 Add the turnip greens and cook for 2 minutes with the onion and chorizo. 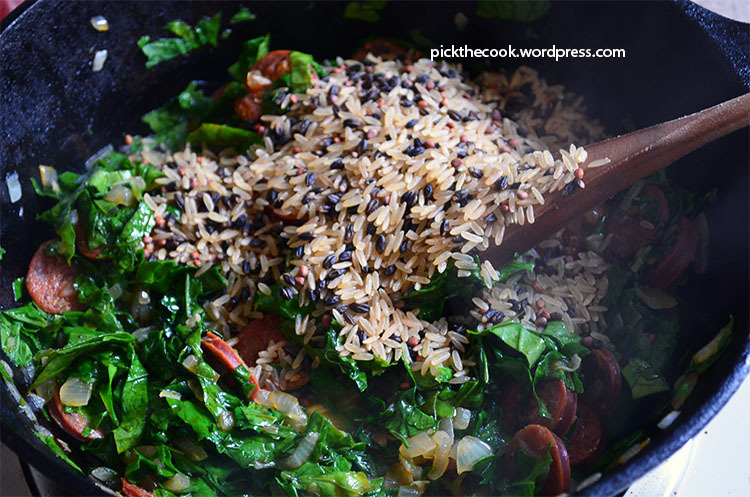 Then add the wild rice and stir well all the ingredients. Season with salt & pepper and paprika & cayenne and add 1/2 water (or broth). Cover with a lid and let the rice simmer on medium low heat. Make sure you keep an eye on your pan and add water from time to time until the rice is cooked. I prefer my rice with a little texture so I didn’t cook it for more than 25 minutes. 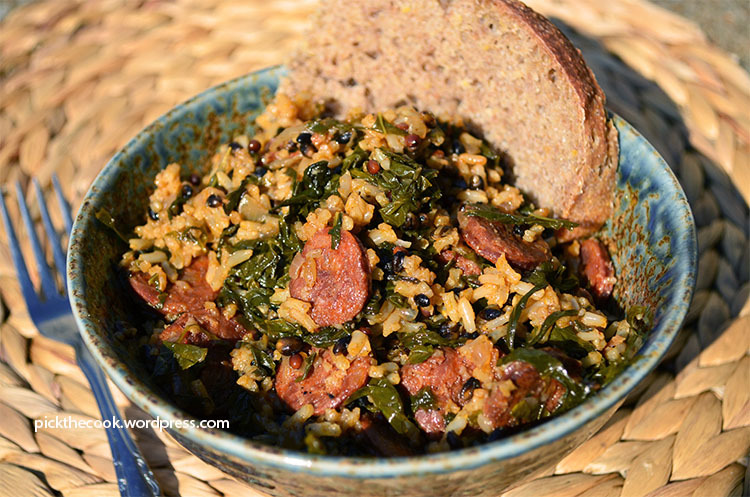 I served the turnip and chorizo wild rice warm with homemade bread and it was delicious.